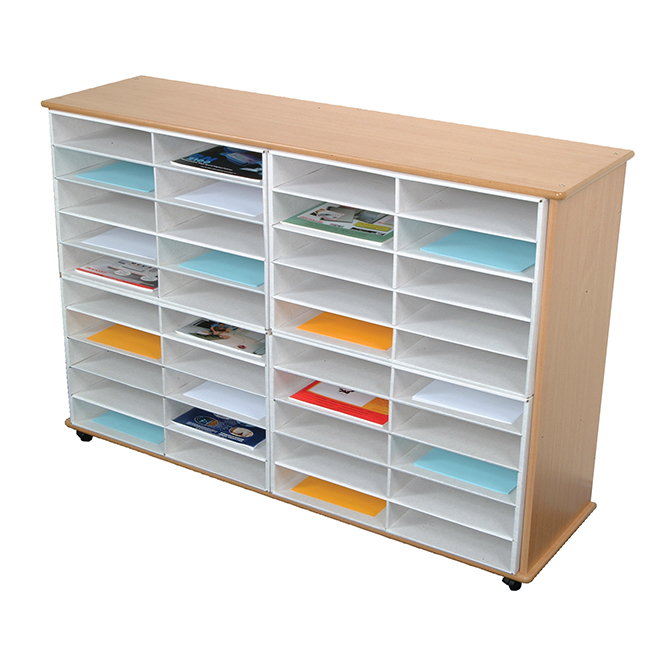 Manufactured from 15mm beech melamine faced MDF with rounded and polished edges, this robust unit is supplied flat packed for efficient storage and simple assembly. The unit is supplied complete with strong corrugated literature sorter modules and has 40 storage compartments for A4 or foolscap papers and documents. The unit has lockable castors and therfore can be moved around for easy access.